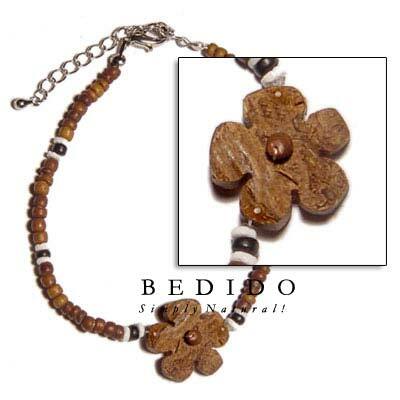 Natural Shell Fashion 2-3mm Coco Pokalet. Nat. Brown W/ White Clam Alt. And Coco Flower Coco Bracelets - Widest collection of handmade body jewelry we also have unique decorative shell, wood and coconut handicrafts.